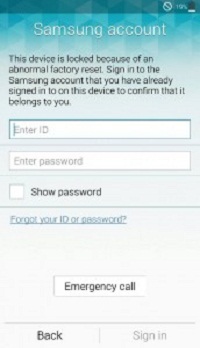 View cart “Unlock Samsung Account Reactivation Via IMEI” has been added to your cart. If your Samsung account locked due to abnormal factory reset or asking Samsung account and you try to remember but cant sign in your Samsung account then we are here to assist you. Unlock Samsung FRP (Factory Reset Protection) /Unlock Google Account Lock Via Remote Server. 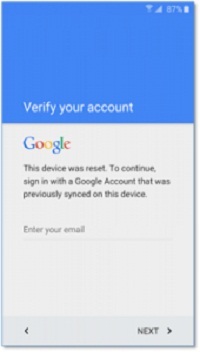 If you cannot login to google account after factory reset and setup wizard showing like this device was reset to continue sign in with a google account previously synced then Contact us. If your Samsung phone locked due to abnormal factory reset but cant sign in your Samsung account then we are here to assist you if your android version not more than 5.1.1 lollipop.You give us only imei to fix. Unlock Samsung FRP /Google Account Via Remote Server. If your Samsung phone locked due to abnormal factory reset or device showing like this device was reset to continue sign in with a google account previously synced and you can't get into your Samsung account or google account to fix it and also don’t recognize the Samsung password or google account password or trapped on the Reactivation Lock on your Samsung mobile and looking for a permanent solution of your problem. You do not need to worry we are here to help you to unlock Samsung account. We regularly post our blog about these kind of Samsung lock to help people. The services that we offers are Remote Samsung Account Lock Remove, Frp Lock Remove, and Reactivation Lock bypass permanently , Google Lock removal for All Samsung Phones. We unlock every Samsung Account locked / Reactivation locked devices. Whether you by chance locked your Phone or you purchase a locked phone, you should not be bothered. We know precisely how it feels and can value the upsetting experience you might be going through when you see your valued device being locked. The rest we will done by our-self! If by mistake you don’t remember your password or even username information after reset you mobile phone and you have FRP (Factory Reset Protected) previously. Are you feeling worry about the solution? You don’t need to worry more we are here to assist you all through the way. After the service the phone will start working as new one and even it will not leave its foot print that there was ever a lock. And the previous Google account is undying removed along with the FRP lock. Please take into account that FRP enables itself after a Google account is added to the phone. Please read our Terms and Condition also before making order. So take care to memorize your password! FRP (Factory Reset Protection) is a new characteristic to guard your devices that are running on Android OS. This feature let you search you phone to prevent others from using it is been reset to factory setting without permission. For an instance, if you phone is stolen, wiped, lost or flashed. Why most of people who face this problem landed this page? Contact us now if Samsung account locked or forgot id or can't login due Samsung account forgot id or face error like this device was reset to continue sign in with a google account previously synced. Its not too late, just order us to unlock your Samsung account lock now.